It is with great pleasure that I serve as the Dean of the College of Liberal Arts and School of the Arts (CLA-SotA) at St. Cloud State University. I am thrilled to share with you our newest publication, The Letter. More than a newsletter, The Letter is designed to communicate differently with our audiences. We strive to share the voices, creativity and achievements of our students, faculty and alumni from their viewpoint, in an effort to proudly celebrate their success. We hope to reveal the many ways which the college and school lives into its mission and supports that of SCSU—to prepare our students for life, work and citizenship in the twenty-first century. Our first edition is focused on two critical dimensions of our work, internationalization and interdisciplinary study. 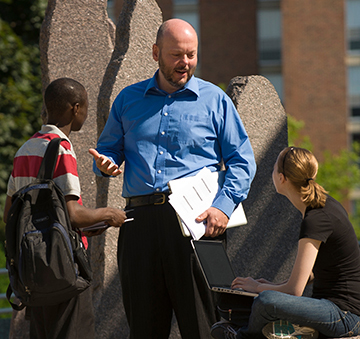 SCSU has been nationally recognized as a leader in international education, and whether it be students studying abroad, international students pursuing their dreams, our faculty and staff immersed in their scholarly development, or our alumni engaged in work across the planet, the college and school remain committed to nurturing opportunities for global understanding. We are also deeply committed to on- and off-campus partnerships to explore the varied ways in which the humanities, social sciences and fine and performing arts intersect with other fields of study. We believe that through such partnership we are able to create opportunities that prepare our graduates for life-long learning, while also encouraging them to be adaptable to the necessary capacities of new and emerging careers. This is also the environment where disciplinary study merges with other fields to tackle big questions, seeks answers to new problems, and finds solutions that fuel innovation and promote new understandings of our world. Finally, we welcome your thoughts and comments on this project (see the inside back cover for contact information). 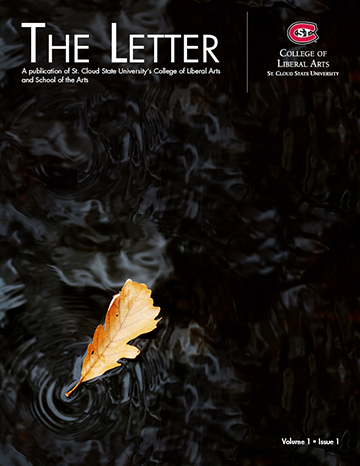 I would like to thank the many contributors to this first issue of The Letter, notably Dan Huwe and Michelle Hengel, CLA-SotA’s Experiential Learning and Outreach Director and our office graduate assistant, respectively, for their work. We hope you enjoy it!